The best of D2 will toe the line in Pittsburg, Pennsylvania for the National XC Championships. Maine will be represented well with Anna Lastra & Kialeigh Marston of the girls side. While Andrew Sholl & Caleb Pendleton will compete on the boys side. 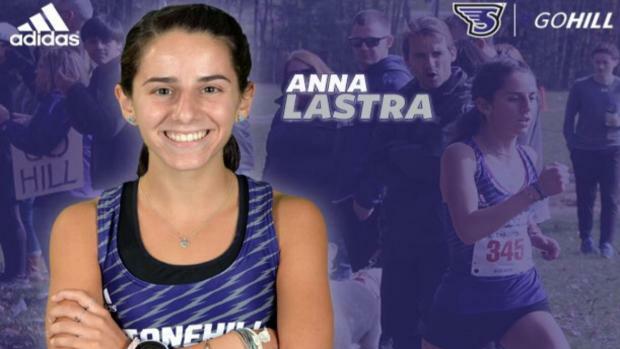 Lastra a junior at Stonehill College was the East Regional runner-up covering the 6k course in 22:17.40. She helped the Hawks win the East Regional with 58 points earning them an automatic bid the National Championship. A year ago she ran to a 199th place finish in the National meet running 23:39.3. As a freshman she placed 106th at Nationals running 22:24.6. Anna competed for Fryeburg Academy in high school. On the men's side Cedarville teammates Sholl & Pendleton will compete in their first National meet. Pendleton a sophomore placed 36th in the Midwest Regional running 32:50.50 for 10k, Sholl a junior followed in 47th place in a time of 33:12.70 to help the Yellow Jackets place fifth as team, and earn an at large bid to the National Championship. Pendleton competed at Bonny Eagle High School while Sholl wore the Red Storm jersey for Scarborough.